In August 2007, Chris Messina introduced hashtags (#) into Twitter’s code, which meant anyone using the platform could add a # sign front of any word(s) without spaces to make it a clickable link leading to a page where all tweets with this hashtag were aggregated. Hashtags are now used on other social media sites, like Facebook, Instagram, and GooglePlus. Create a hashtag to start a movement or Twitter chat! I have been the founder of various education hashtag movements including #Edchat, #30GoalsEDU,#Edspeakers, and #EbookEVO. Add hashtags at the end of your blogs posts to reach a target audience. Participate in Hashtag chats to connect with teachers worldwide and build your Personal/ Passionate Learning Network (PLN). Add hashtags to your posts and resources to brand yourself. If you blog about education technology then share with the hashtag #Edtech. 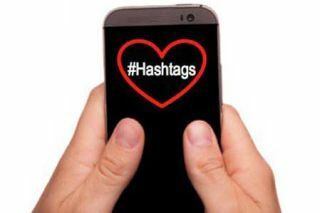 Sites like Hashtagify list the top hashtags and sharer of those hashtags. Here is a clickable word cloud list of 100+ Edhashtags to help you grow your Personal/ Passionate Learning Network (PLN). @Cybraryman1 has a list of Edhastags here.